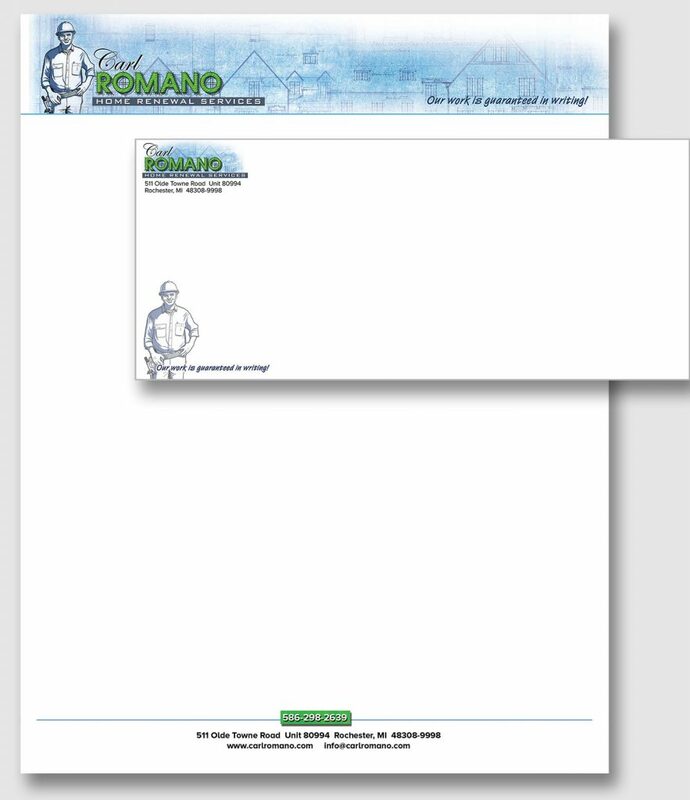 If you’re interested in getting a full branding package from A to Z, you’ve come to the right place! 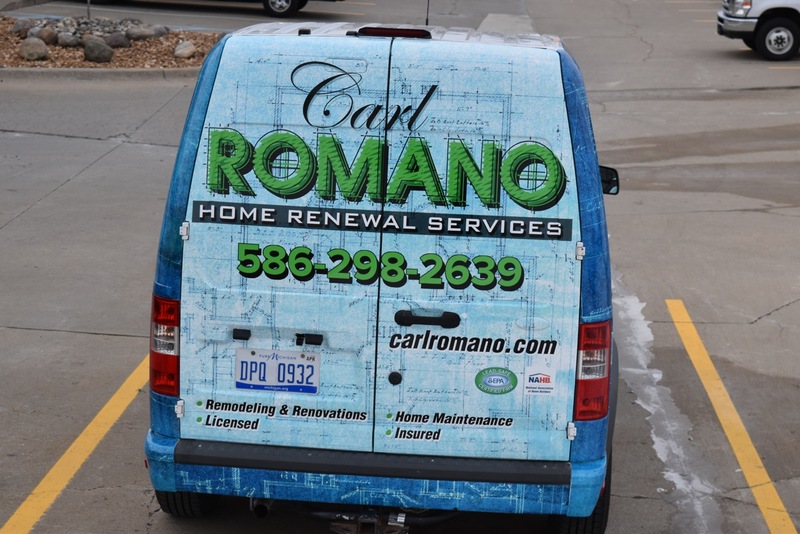 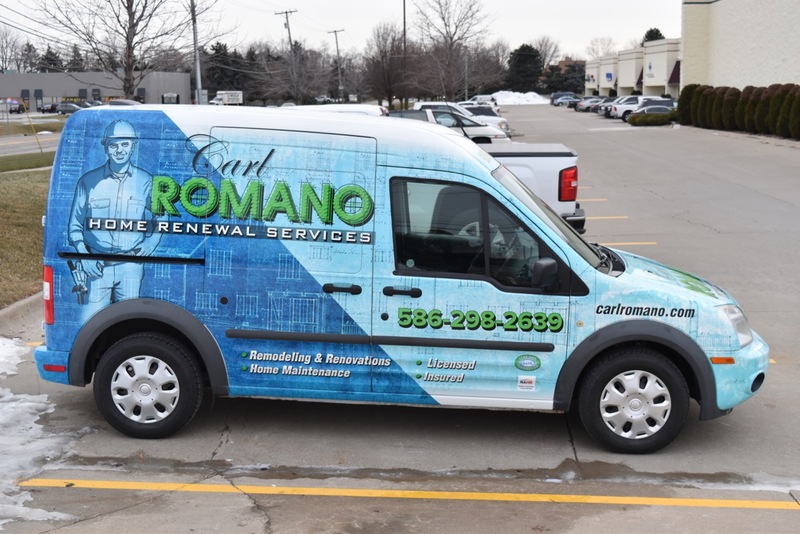 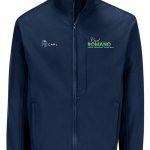 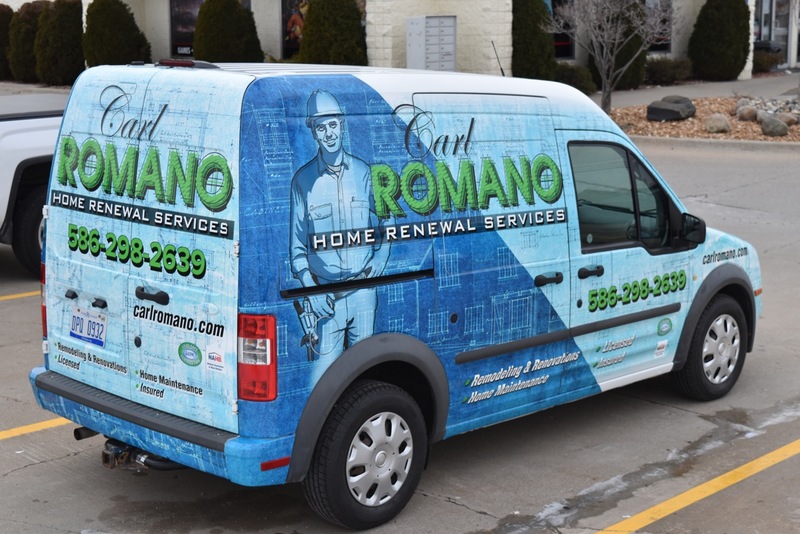 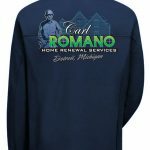 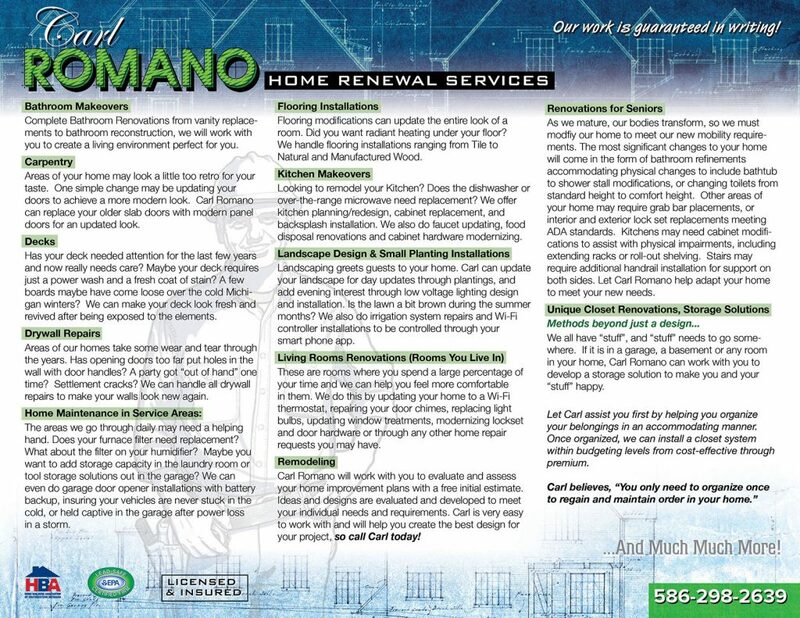 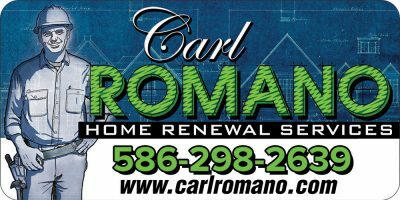 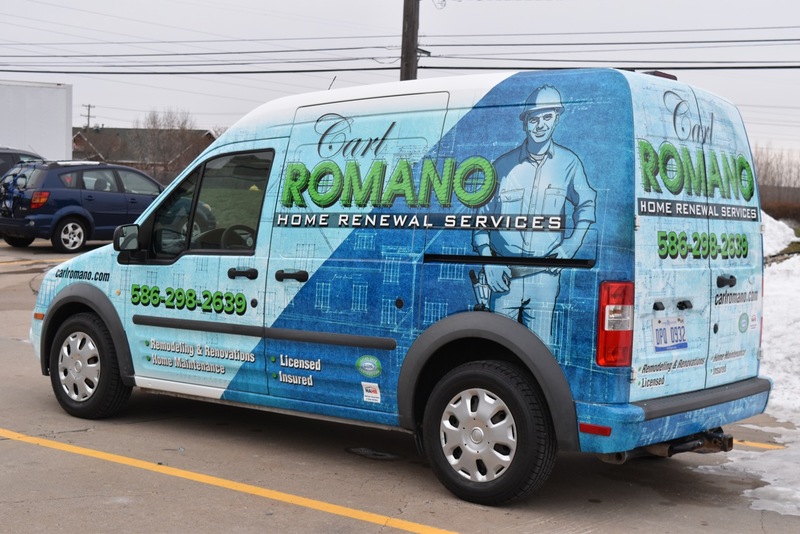 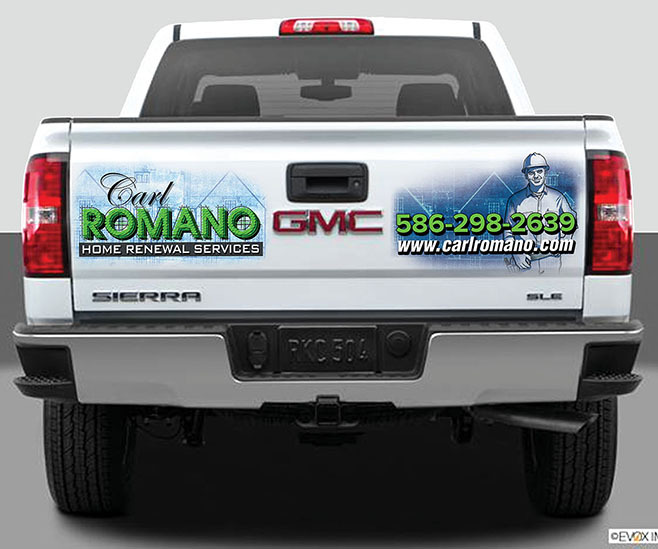 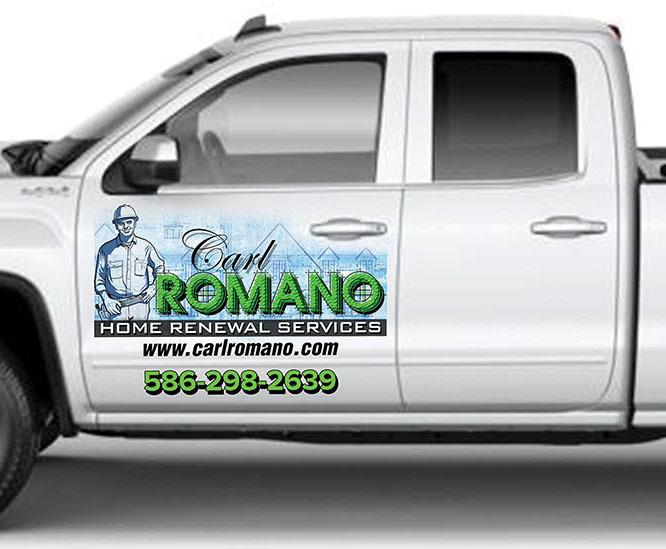 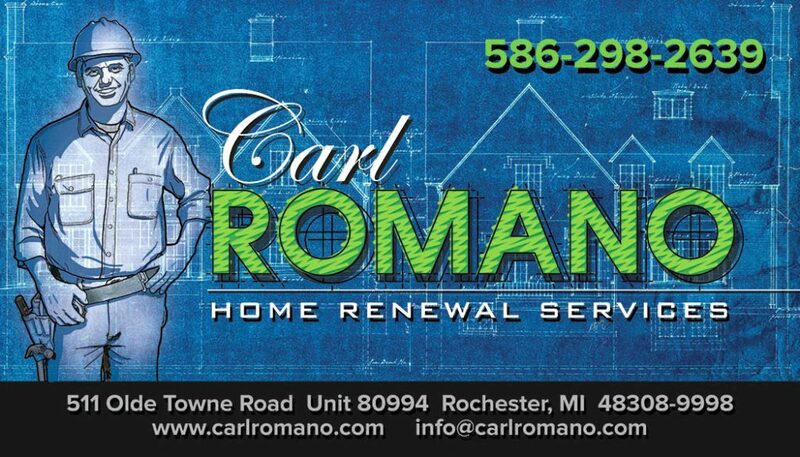 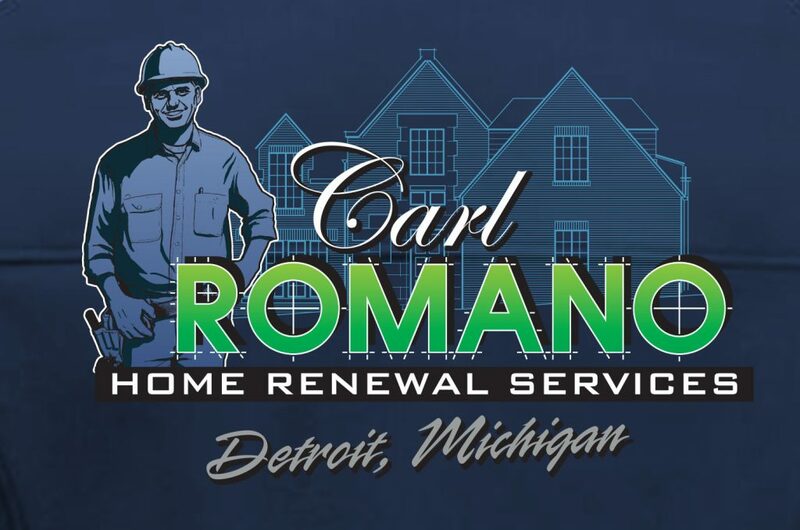 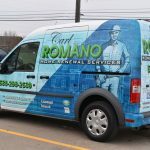 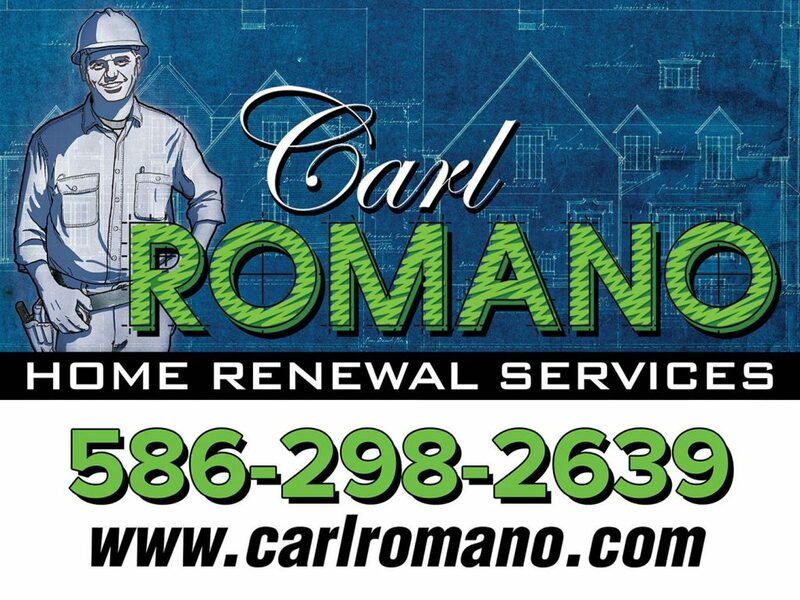 This full branding package we just completed for Carl Romano Home Renewal Services in Detroit includes a logo, business card, letterhead, envelope, brochure, notepads, stickers, signage, embroidery (for shirts, jackets & ballcaps), truck wraps and a website to boot! 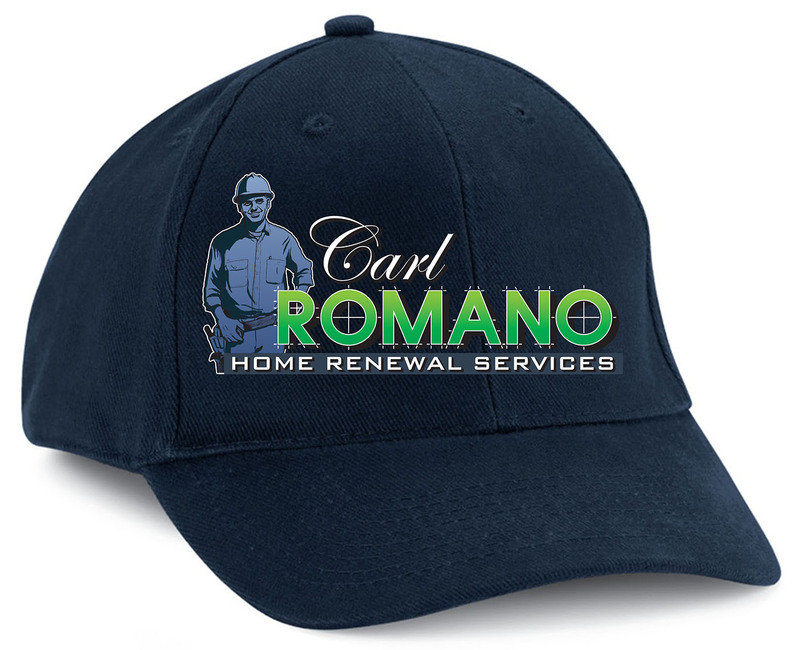 It wasn’t really our intention from the beginning, but as we went through the development process, the illustration of Carl turned out to be quite the roaring success, and stands easily on it’s own as a branding icon, appearing throughout all of these promotional materials. 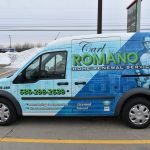 A Van Wrap is Top Priority Of Course! 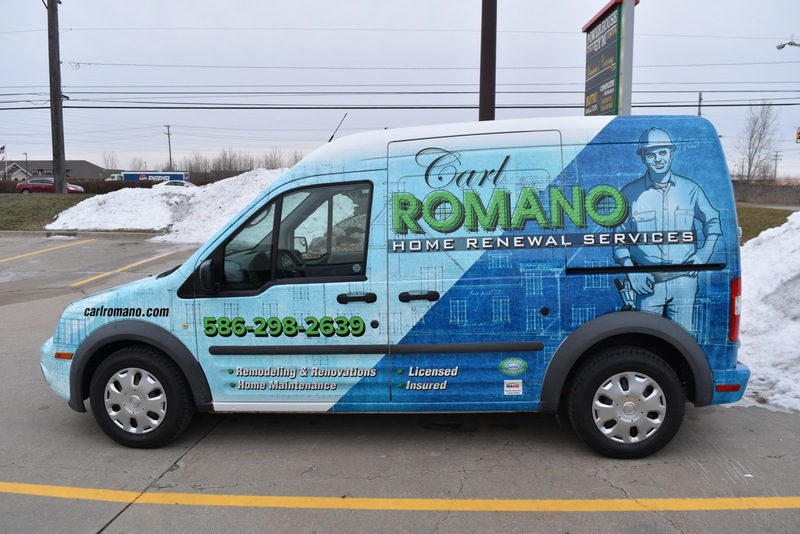 Creating this truck wrap was a lot of fun, not to mention a heck of a challenge. 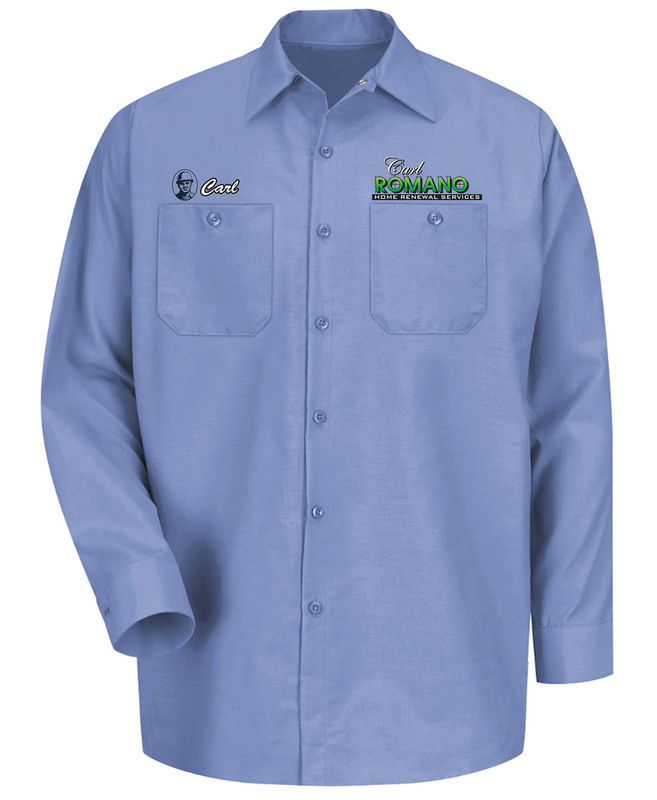 We had to figure out how to employ the blue print motif throughout, and then prepare all that artwork at super high resolution. 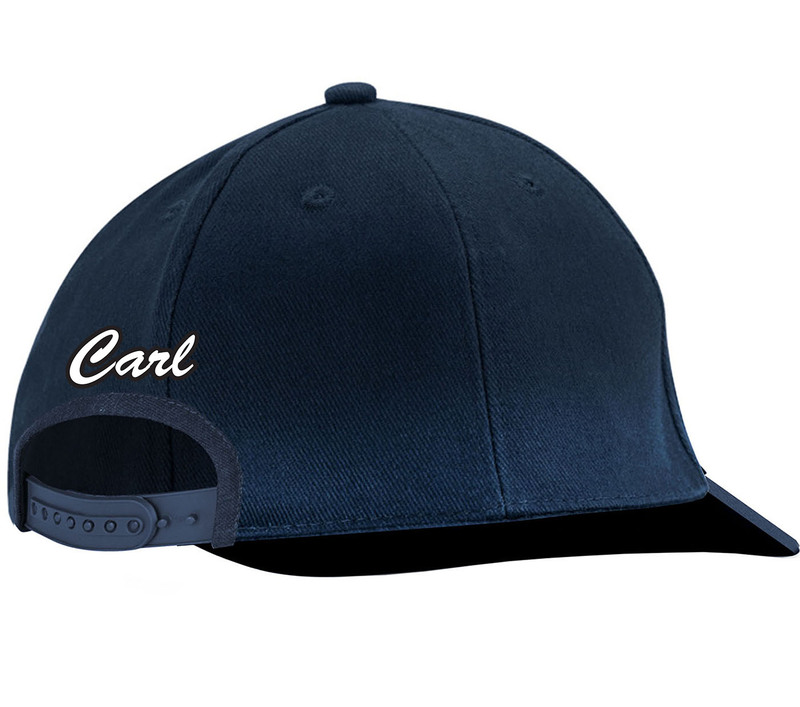 But in the end, after a lot of blood, sweat and tears, the final result really came together nicely. 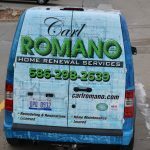 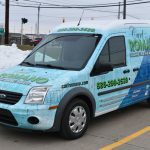 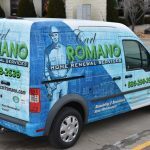 Here’s a little slide show you can click on to see the wrap applied to the actual Ford van. 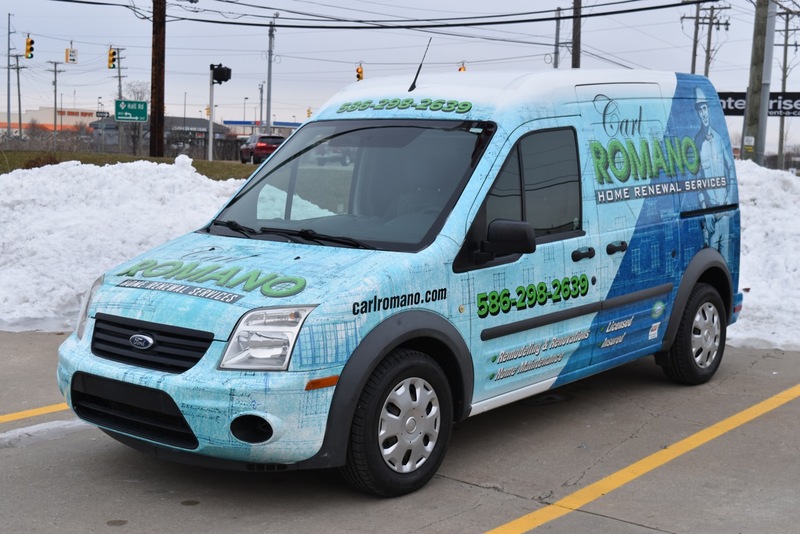 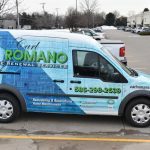 A special thanks goes out to Fine Lines Graphics in Detroit for their amazing work in applying this van wrap. 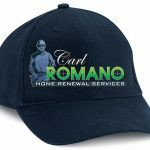 How about Lawn Signs, Stickers and a Notepad! 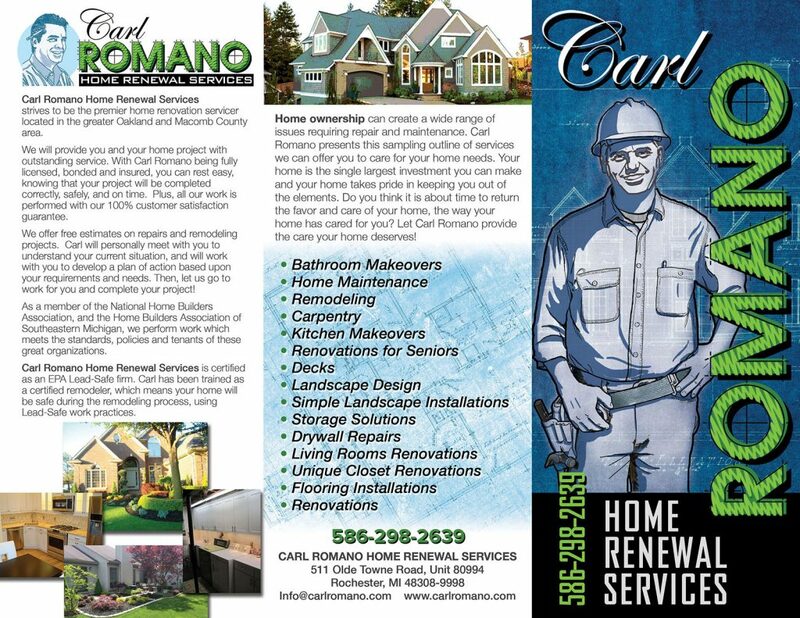 And Don’t Forget the Tri-Fold Brochure! 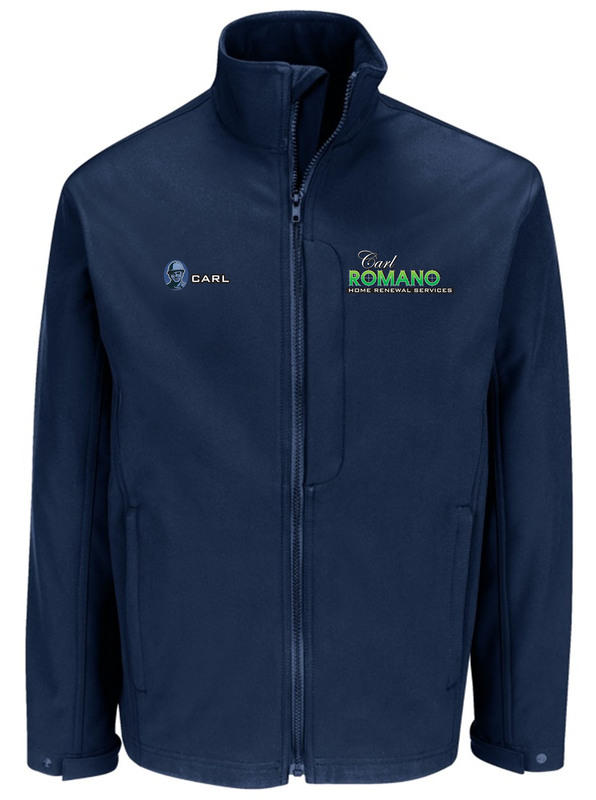 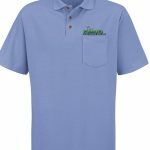 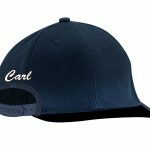 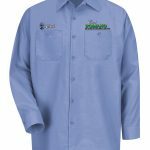 No Branding Package Would Be Complete Without Embroidered Clothing! 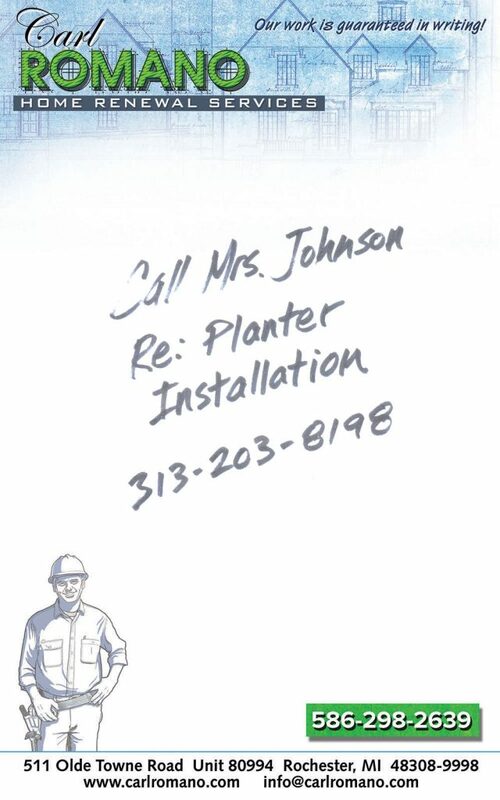 This part of the project was a lot of fun as well. 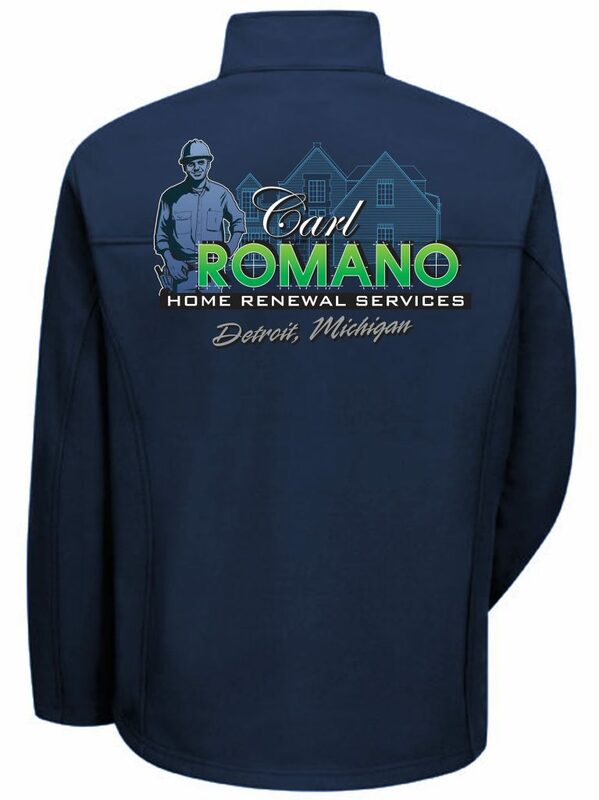 The logo had to be simplified of course for the purposes of embroidery, so we switched to a gradient tone in the lettering, along with a graphic rendition of the mascot, Carl. 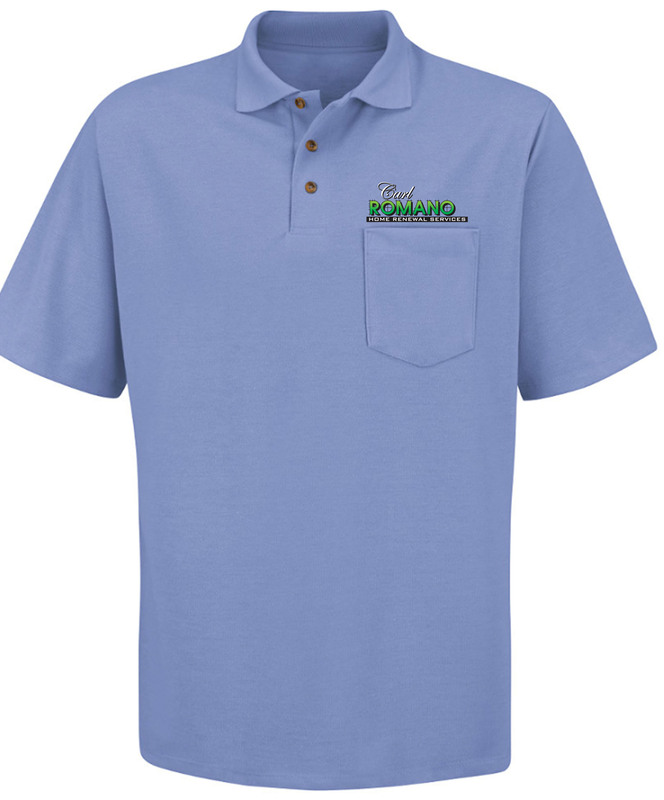 We produced layouts for a jacket, work shirt, polo shirt and ball cap, with striking results! 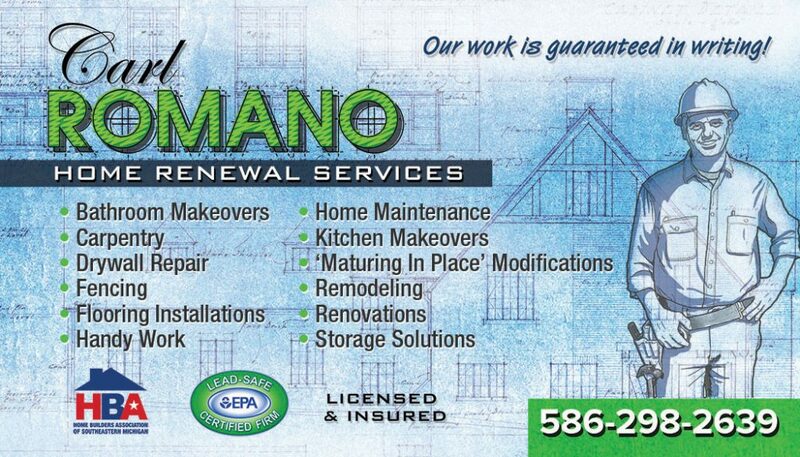 Click on these images below to view closeups. 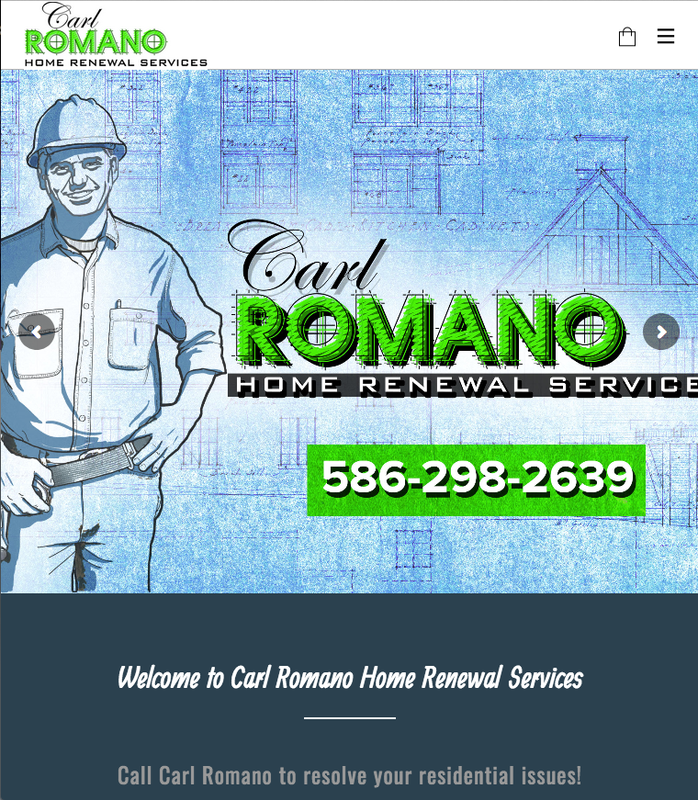 And Last But Not Least, A Fully Responsive WordPress Website!